Craig Conover was born on the 9th February 1988, in Fenwick Island, Delaware, USA. He is a lawyer and a television personality, best known to the public for his role in Bravo TV’s reality series “Southern Charm” (2013- ), which has gained Conover a lot of popularity, and it has also helped him to increase his net worth. He has been an active member of the entertainment industry since 2013. Have you ever wondered how rich Craig Conover is, as of mid-2016? According to authoritative sources, it has been estimated that Conover’s net worth is over $200,000. 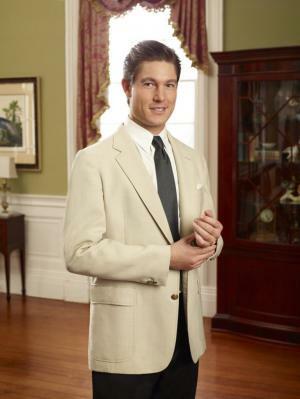 In addition to his role in “Southern Charm”, Conover also works as a lawyer which has improved his wealth. Craig Conover was raised in Dagsboro, Delaware, and attended Indian River High School from where he matriculated in 2006. He originates from an athletic family, and wanted to play baseball and was a star in high school, but decided to quit after injuring his elbow. He moved to Charleston, South Carolina to study at the Charleston School of Law, and graduated with a Bachelor of Science in Business Administration and Management in 2010, and became a Juris Doctor (J.D.) in 2014. In the meantime, Craig worked as a Legal Intern in the Berkeley County Public Defender’s Office from May 2012 to July 2012, as a Litigation Assistant in Anastopoulo Law Firm from April 2013 to October 2014, and in the Pharmaceutical Division of the same company from May 2014 to November 2014. Most recently, Conover founded Apex Principles, Inc. in January 2016. In 2014, Conover joined Bravo’s television reality show “Southern Charm”, and appeared in 20 episodes of the series that is still running. “Southern Charm” follows the personal and professional lives of seven socialites who reside in Charleston, S.C. It also focuses on how the Southern aristocracy function in a real-life situation. The third season was premiered in April 2016, to audiences of over several million for every episode. Besides Craig Conover, other regulars in the show are Thomas Ravenel, Whitney Sudler-Smith, Cameran Eubanks, Shep Rose, Kathryn Calhoun Dennis, and Landon Clements, all notbale local business people and/or socialites. Regarding his personal life, Craig Conover is dating Naomie Olindo, and the pair have moved to the small community of Mount Pleasant, South Carolina. Craig is apparently planning to propose to her in coming months, as he was spotted shopping in search of an engagement ring. When he’s not working, he contributes to a charitable organization which helps unprivileged families and their children. Craig is serving as a Guardian Ad Litem and represents the children that are abused, molested, or neglected by their parents.